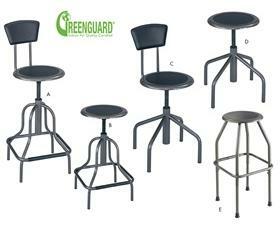 Diesel Stools | The Rembert Company Inc. Ideally suited for industrial, institutional markets and educational applications. Standard with a manually adjustable seat height. The Diesel with set screw lift is available in 2 base models -- an open 4 leg low base unit or a bell-shaped 4 leg (with fixed footrest) high base unit. Both models are offered with or without vinyl upholstered back. 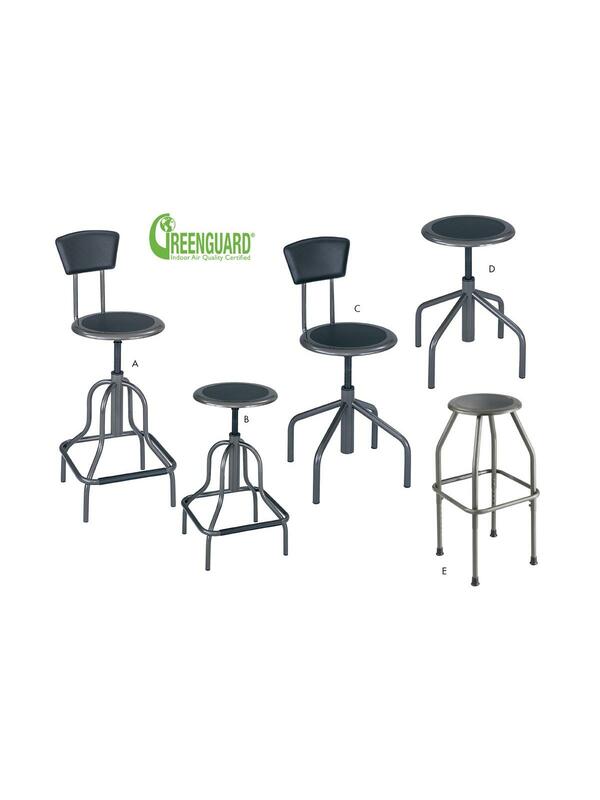 The H6666 Diesel Stool has a manual height adjustment using set screws in the chair legs, so its height is fixed while in use. Constructed of 13 and 15 ga. steel for enduring life. Clear coat Pewter colored finish. 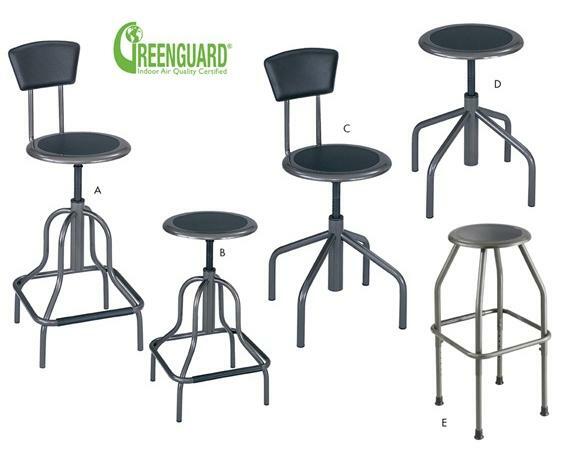 Adjustable height stools are Greenguard certified. FOB Shipping Point.